Thanks to the specific shape of its frame, designed to better accommodate the material and to have higher load capacity, together with a high clamping force, made possible by oversized pistons and double connecting rod, the PT clamp allows the handling of bulky and long logs, even in the most precarious conditions. 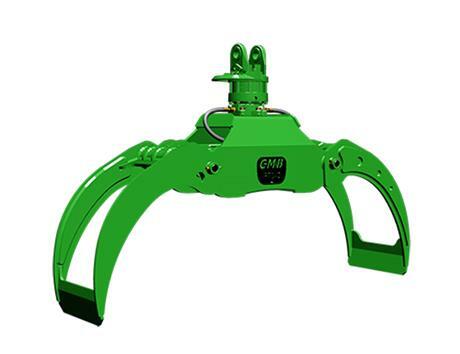 It is supplied with a fixed oscillating hook or with a direct hydraulic rotor. Built with the best SSAB wear-resistant materials, it guarantees low maintenance and wear costs over time.